blog – Page 87 – Cheryl Sleboda – Textiles. Technology. Texture. Teacher. First, some bloggy housekeeping issues: I’m planning to do my “Back to Basics” posts on Tuesdays. I really hope you enjoy them. They are my tips on how I bust through slumps and creative blocks. I’m also doing a few more “Technique of the Week” posts through July. I’m not forgetting my own weekly quilts for 2011, and have some major catch up to do on that front, so you will not only see bunches of those, but you will see some posts on why I do them, how to start your own, etc. These are notes from a lecture that I offer called “What will you do with it?“. I don’t have a schedule for those posts just yet, but they are coming! A few upcoming deadlines means I’m working hard getting things ready to go out the door. The “PowerSuit” challenge is coming up and I dutifully emptied my challenge packet and have been working hard to incorporate them into my piece. I’m nearly done executing the design and quilting is next. Can’t wait! They don’t want to have them revealed until the show in August, so I’m being good about that, but I can’t wait for you to see it. I am a SAQA member and our local chapter has a show coming called “Art and Science: Stitched Together”. I hurried to finish my piece and sent off my photos and entry form and now am waiting patiently to hear. Notifications are Sept 15th. There is no issue on disclosing the piece, so I plan to do so on a different post to give it it’s due spotlight! There’s been a momma and daddy duck outside all summer, and these babies are all grown, but I could not resist posting them for you to see. She had nine little ducklings and they all made it to adulthood. I called the momma and daddy duck “George and Gracie”. My LED Quilt article now collected on CD! 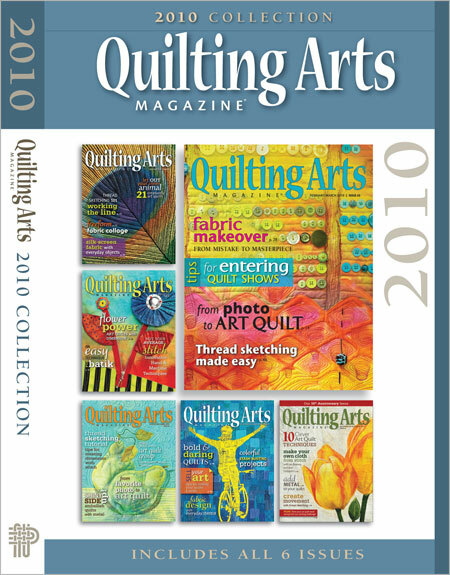 If you missed my Quilting Arts debut in issue #48 (Dec 2010/Jan 2011) you can now find it as part of the CD collection of issues from Interweave! My article on putting LED lights into quilts is on this CD. 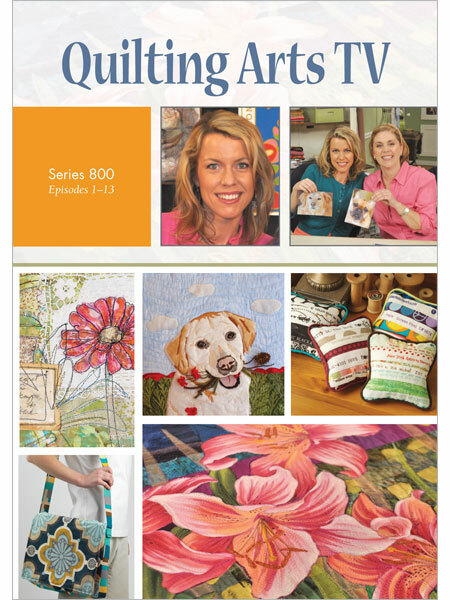 On this page you can scroll through to the last issue’s Table of Contents and see the postcard I made for Quilting Arts to celebrate their 10 years in publishing! Do you sometimes get overwhelmed and find you can’t create? For me, it doesn’t matter where the overwhelming part comes from: life, work, art, family…whatever. When I get overwhelmed, the creativity shuts down. Some people can quickly turn it back on again, and some people lose interest altogether. I am in the middle. It takes a while, but I can kick myself over like an engine that’s sat too long in the garage and get myself going again. One of the ways I get myself going is getting “Back to Basics”. It’s easy to forget that the basics of our chosen artform can be so satisfying, and then your mind is racing and full of new ideas. Things in the quilting part of my life are just as hectic as the rest, and I decided to pay more attention to the quilt “business” I’m building. 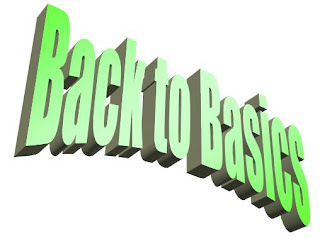 To that end I’m planning to do some more blogging about “Back to Basics” topics to explain what I do when stumped so that they can help you too! I hope you enjoy them! Check back, subscribe to my RSS feed, or Follow me on the right hand side panel to get updates on the blog as I post them! The season I am appearing in for my e-textile quilts is now available for pre-order! You know you want to run right over and get one today! I haven’t seen it yet and I’m sure I look fine but I have no idea what I said!